The Barbara Bush Foundation for Family Literacy mourns the passing and celebrates the legacy of its founder, Barbara Bush. Barbara Pierce Bush — a beloved first lady, proud mother of six children, accomplished author and passionate champion for family literacy — passed away on April 17, 2018. Mrs. Bush believed that every man, woman and child should have the opportunity to secure a better life through literacy. In 1989, this belief inspired her to establish the Barbara Bush Foundation for Family Literacy, which has provided educational opportunities for Americans of all ages, in all 50 states, over the past 29 years. Today, the Foundation remains committed to Mrs. Bush’s vision, providing innovative programs and strategies aimed to expand access to education for all Americans. Doro Bush Koch, daughter of President George H.W. and Barbara Bush, carries on her mother’s legacy as honorary chair of the Foundation. 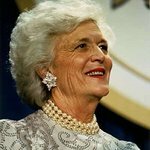 In lieu of flowers, Mrs. Bush requested that those wishing to honor her memory do so through contributions to the Barbara Bush Foundation for Family Literacy. 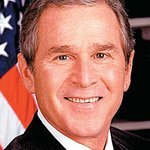 Visit www.barbarabushlegacy.org to make a memorial gift, share a tribute honoring Mrs. Bush’s memory, or learn more about her incredible life and legacy.